After a life worthy of an adventure novel, fighting for social justice and exploring the world in search of rare gems, Dana Schorr died on August 5, 2015 in Santa Barbara, from complications following a massive heart attack. He was 63. 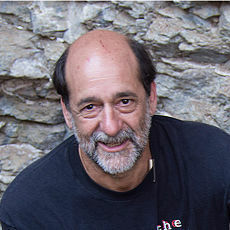 Born Dana Leslie Schorr in Santa Monica, California, in 1952, he spent his early years in California and New York before his family moved to Santa Barbara when he was eight. He grew up here, attended San Marcos High School, and called Santa Barbara home for the rest of his life. A community activist throughout the 1970s, Dana rechanneled his energy into a successful career in precious stones beginning in the early 1980s. After founding Santa Barbara-based Schorr Marketing, he established global partnerships that included village gem miners in Tanzania, stone cutters in Sri Lanka, and a sunstone mine in Oregon. Never compromising his commitment to fair play and democratic values, Dana became an effective advocate for small-scale miners in the developing world, while remaining an outspoken neighborhood leader in Santa Barbara. He embraced life to the fullest, as a supporter of the Santa Barbara Jazz Society, a irrepressible dancer, and loyal and caring friend. Dana is survived by his mother Emmy Schorr, sister Wendy Schorr, brother-in-law Roger Lebow, and a circle of friends around the world. Family and friends hope to create a lasting tribute in his honor. For more information, contact Nansie Chapman at nansiechapman@gmail.com.